Vancouver Whitecaps’ seesaw of a season continued this past weekend as they went down to a 3-1 loss at the hands of D.C. United in the US capital. We analyse the main talking points to come out of the game, hear from ‘Caps coach Carl Robinson, and ponder where the team can go from here. We also look ahead to the midweek Canadian Championship semi-final in Montreal and get some thoughts from Whitecaps President Bob Lenarduzzi on how the club view the Voyageurs Cup. Plus a look at the weekend in the MLS West and we make Mike Petke’s postgame rant on Saturday even more epic. We’ve got two interviews for you this week. The first is with a Canadian Hall of Famer – a member of Canada’s only ever World Cup squad from Mexico 1986, Dale Mitchell. We talk World Cup memories and his hopes for what the Canadian Premier League will do for the latest crop of talent as they build towards 2026, and maybe even 2022. We also chat with TSS Rovers head coach Colin Elmes about his team’s second season in the PDL and what he’s learned from it to take into their third one next year. 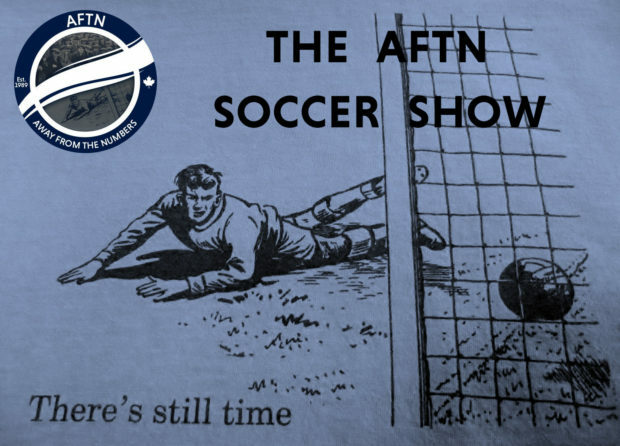 All this, plus lots of World Cup talk, World Cup Wavelength continues this week with a song from 1998, and some Canadian Premier League chat. 24.22: More DC v ‘Caps chat and where does the team go from here?